Logitech is a household name for a reason. Logitech products are high quality and provide excellent performance, while remaining affordable. 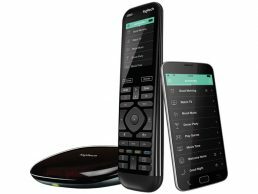 Logitech’s universal remotes give you full control over every component of your entertainment system, for the ultimate in convenience. Beautifully designed and easy to use, Logitech’s universal remotes are a popular favorite.